XLVI, 596 p., 1 ill., 14,2 x 22,2 cm. 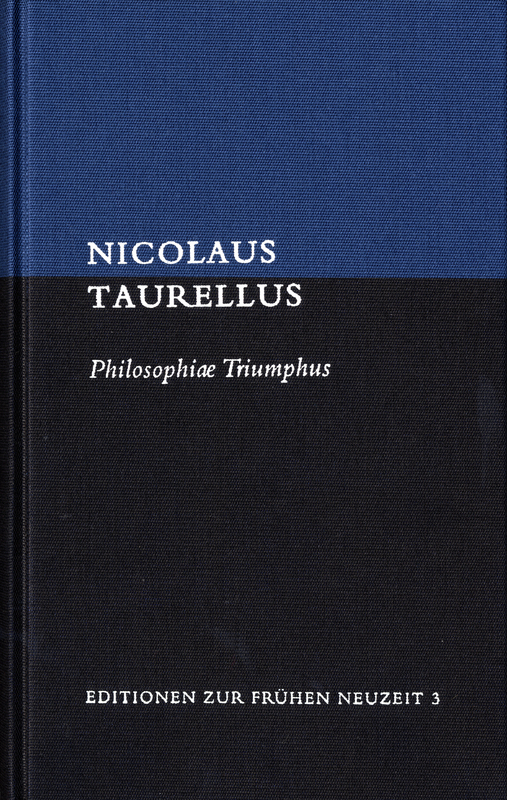 The ›Triumph der Philosophie‹, (Triumph of Philosophy) written by the Altdorf scholar Nicolaus Taurellus (1547–1606), first published in Basel in 1573, is one of the first treatises on Aristotelian metaphysics during the Reformation period in Germany. Harshly criticized by his theological contemporaries because of his basic theory that philosophy itself is the basis of faith, Enlightenment scholars such as Pierre Bayle (1647–1706) and Gottfried Wilhelm Leibniz (1646–1716) called him an outstanding philosopher. Taurellus’ treatise, of which two editions were published by 1617, set a precedent for the early modern tradition of the speculative doctrine of God.